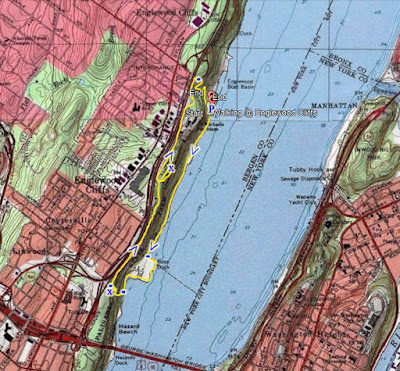 I am almost completed with the gaps in completing the New Jersey Palisades trails. 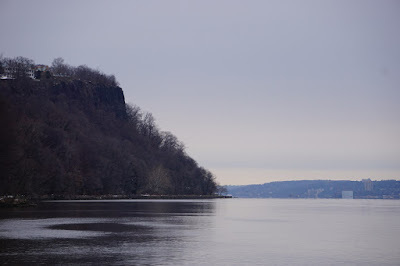 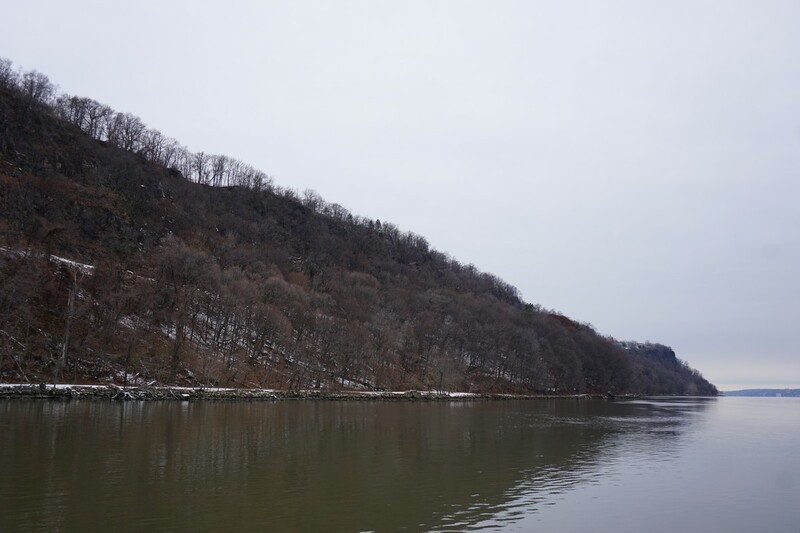 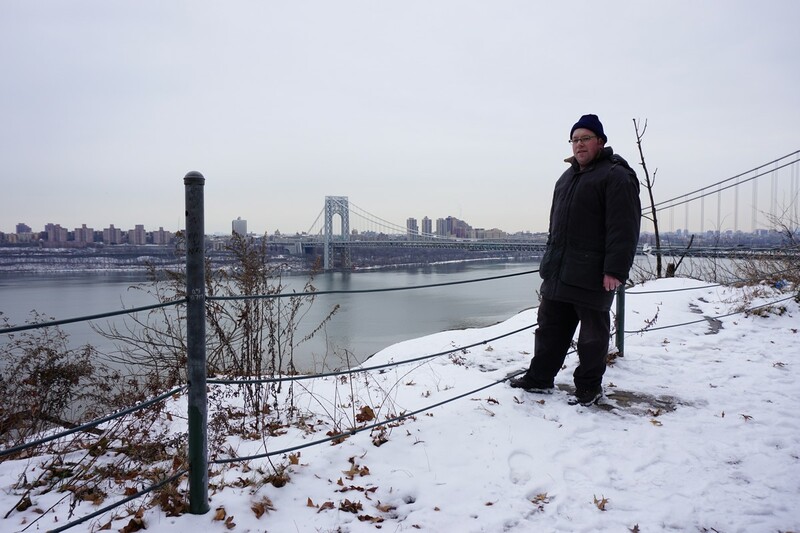 The Palisades form cliffs jutting about 500 feet above the Hudson River along the western side opposite New York City and Westchester. 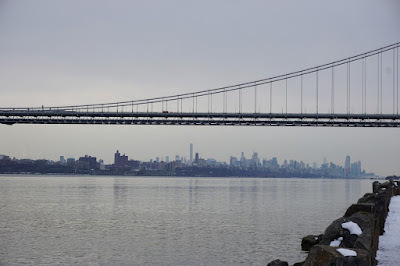 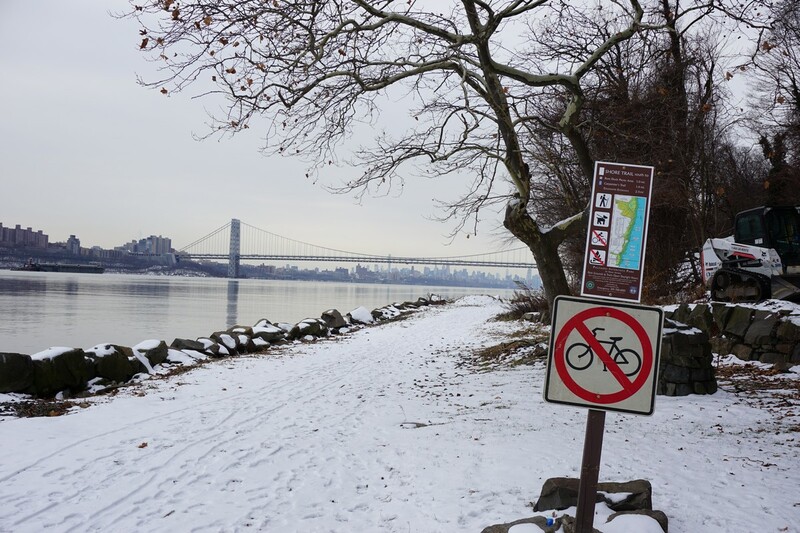 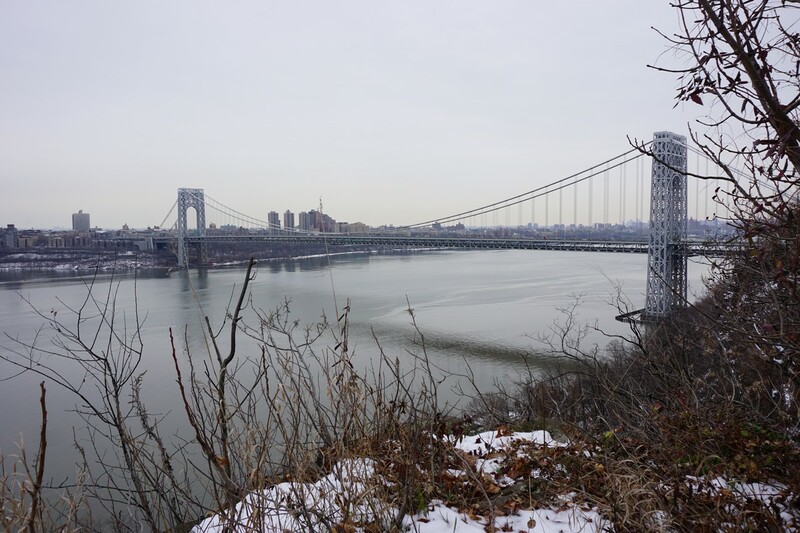 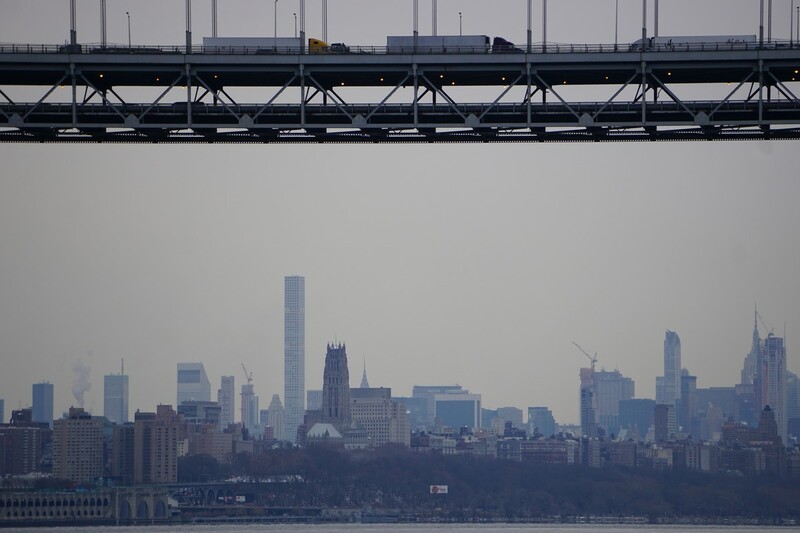 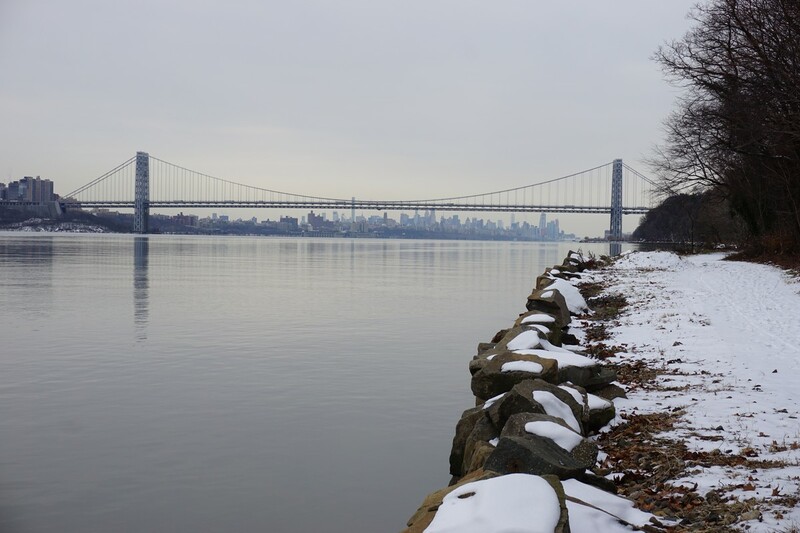 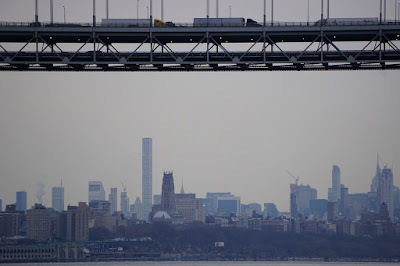 From Ft. Lee north, at the vicinity of the George Washington Bridge, there are two parallel trails stretching north many miles up to the New York State line. 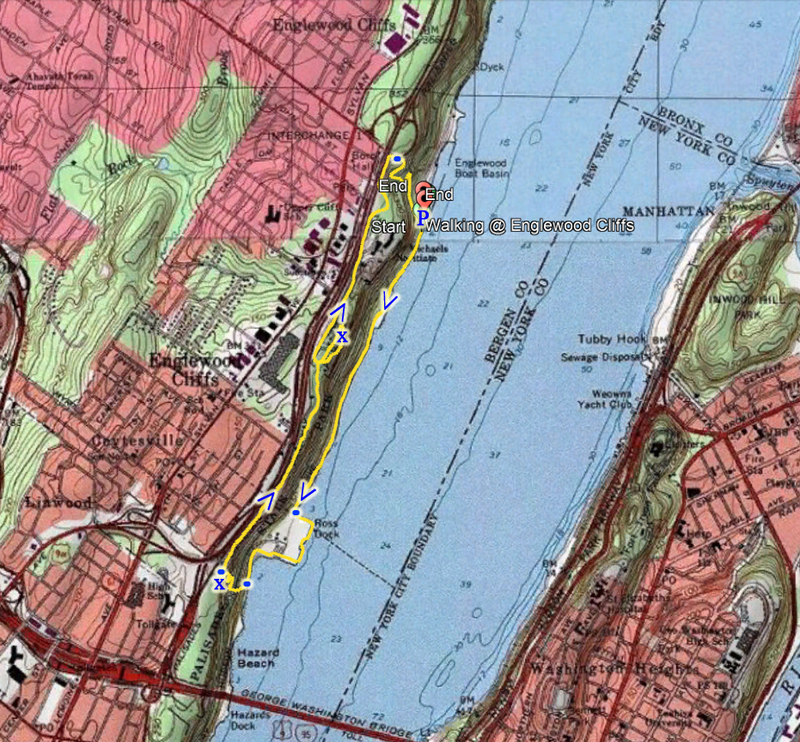 The Shore Trail goes alongside the river below the cliffs, and the Long Path is above the cliff, often traversing close to the edge. 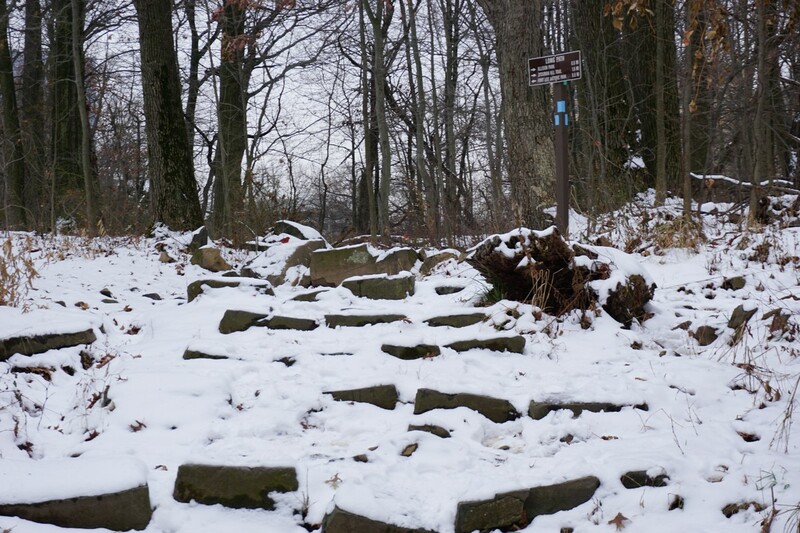 There are several connecting trails snaking their connecting the top to the bottom. This hike was on a cold, dreary day. It has snowed on Friday night, and the snow was still pretty fresh from the day before. 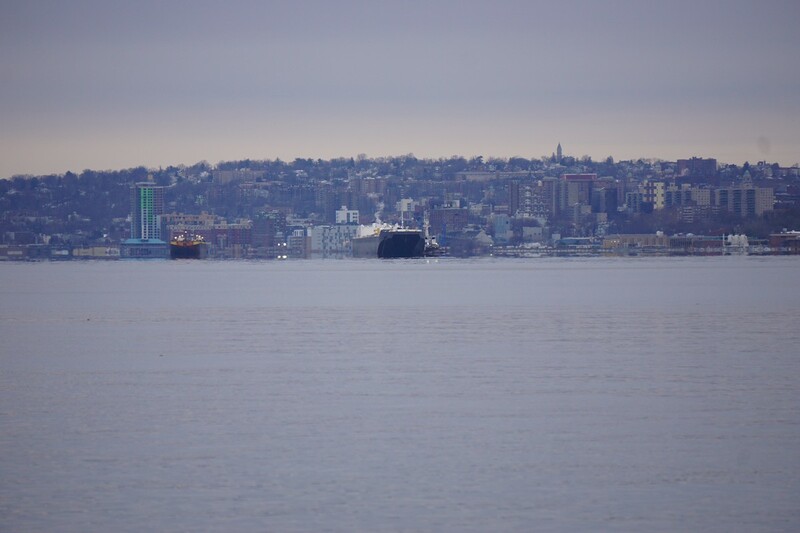 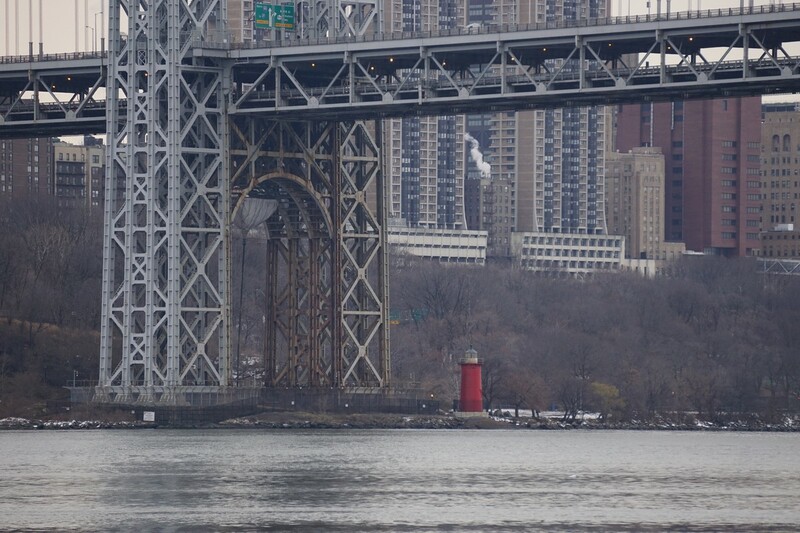 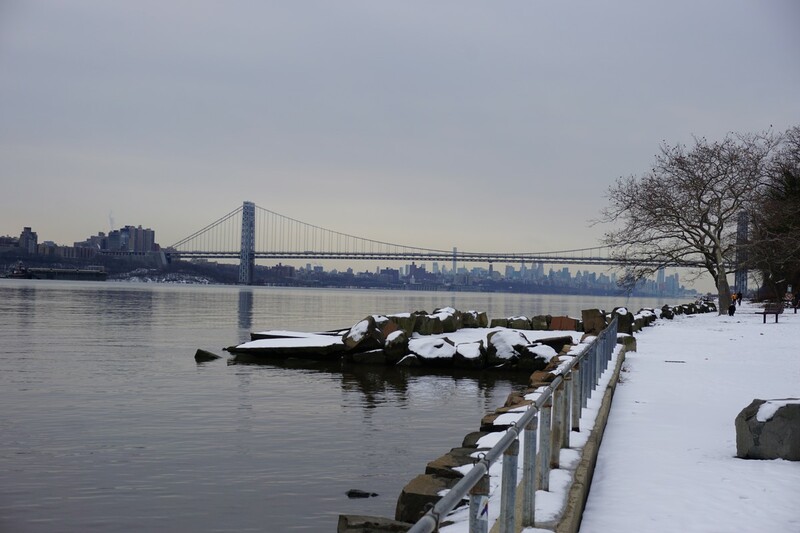 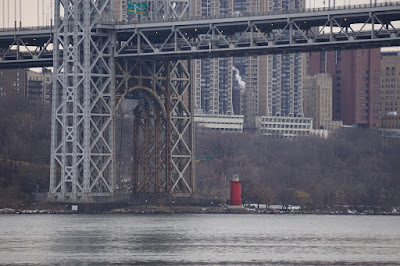 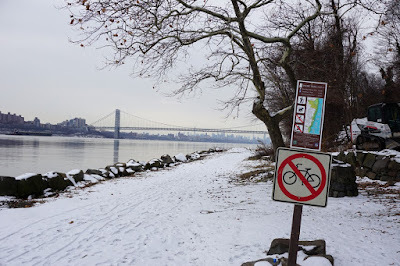 We parked at the bottom at Englewood Boat Basin, and took the Short Trail south, approaching ever closer towards the George Washington Bridge. At Ross Dock, a park and large picnic area very close to the Bridge, we skirted around the edge of the protrusion into the river, and then took the Carpenter Trail up the cliffs to the top, to the Long Path. 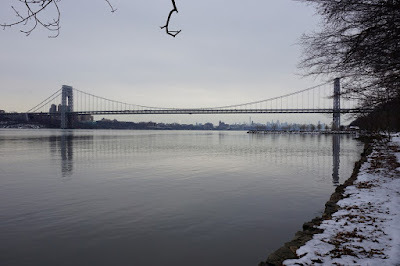 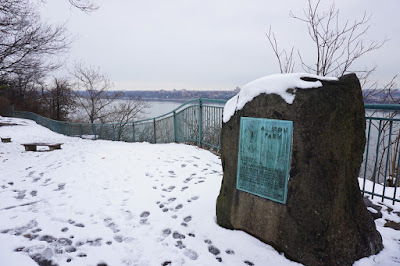 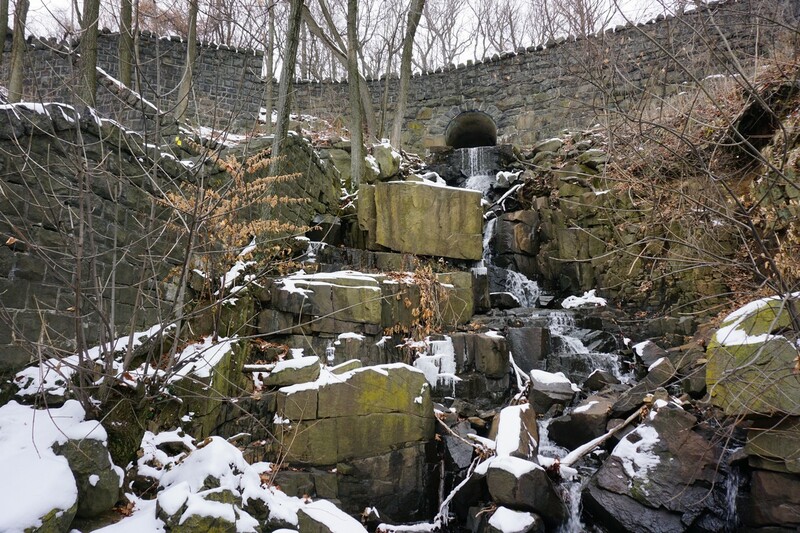 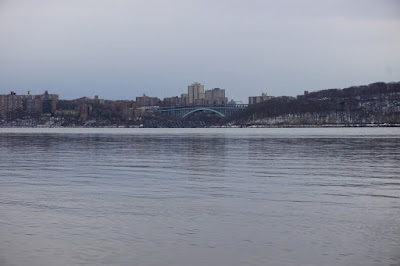 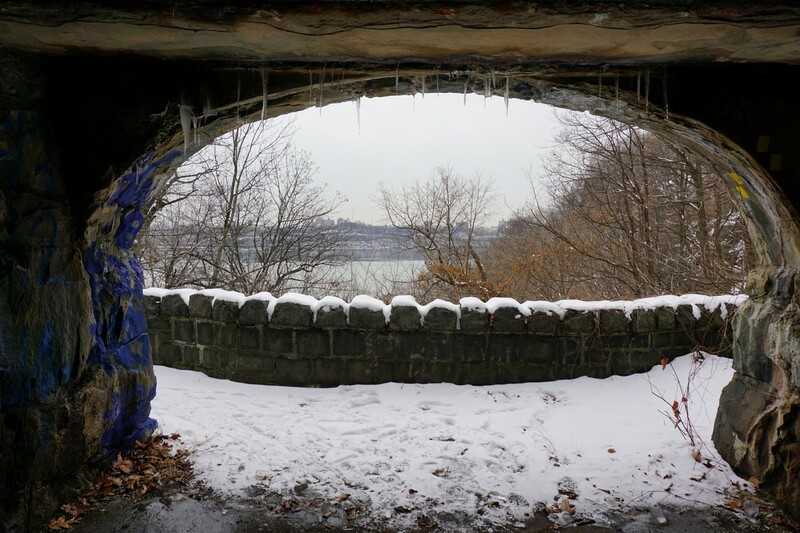 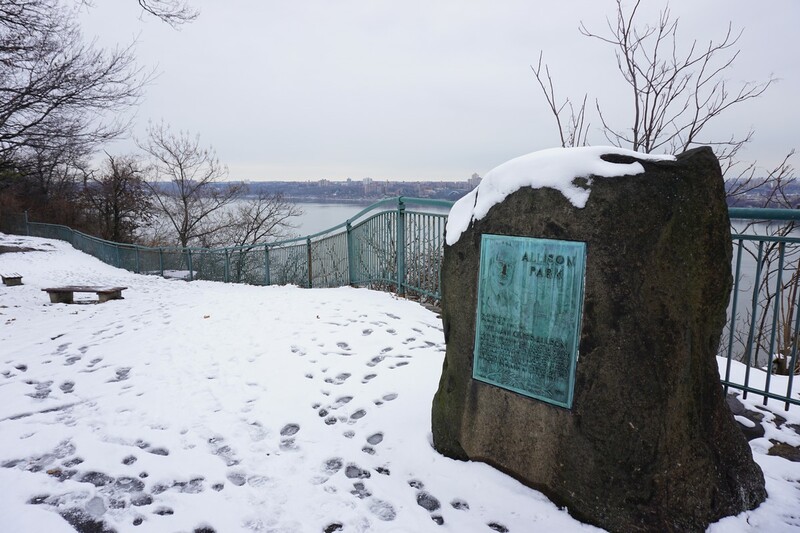 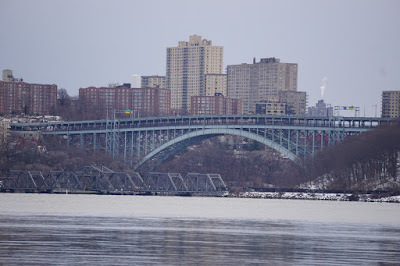 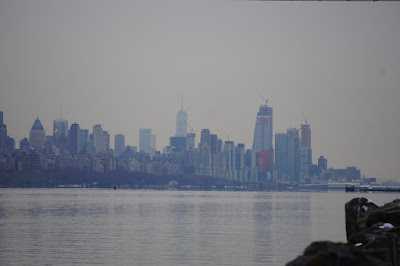 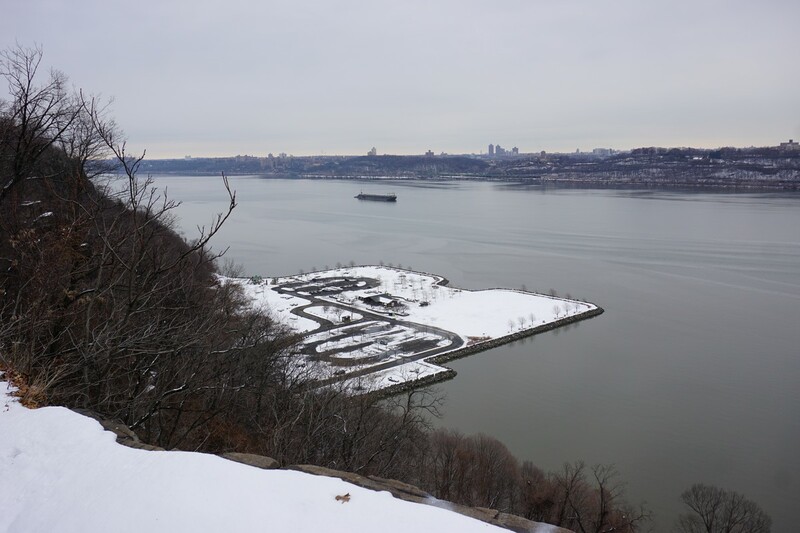 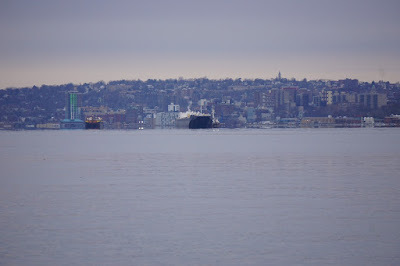 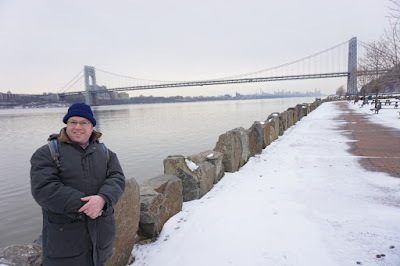 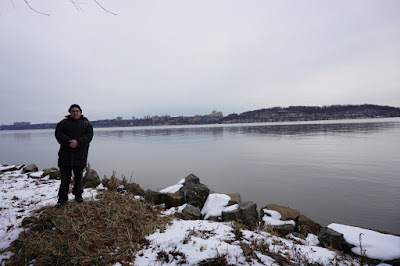 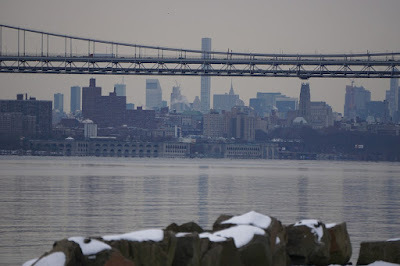 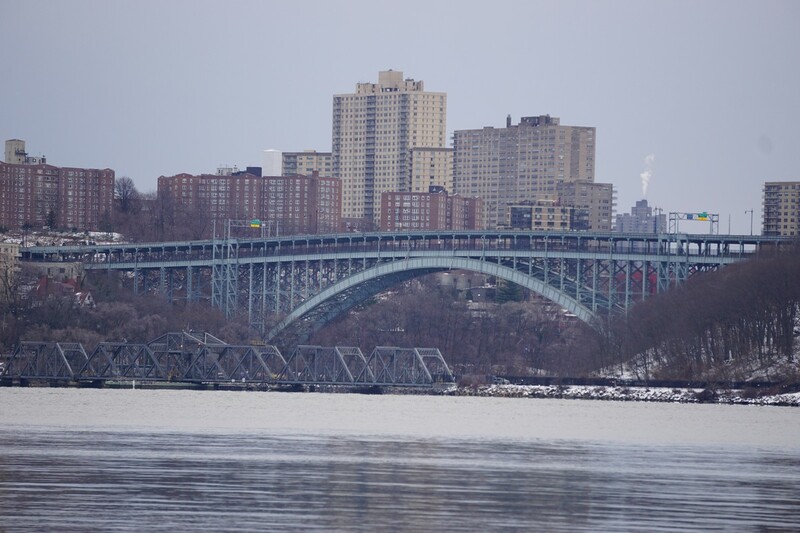 We then headed north along the Long Path, and took a detour through Allison Park, a small park with nice landscaping alongside the cliff, and then continued back on the trail past St. Michael's college and then towards the Dyckman Hill Trail. 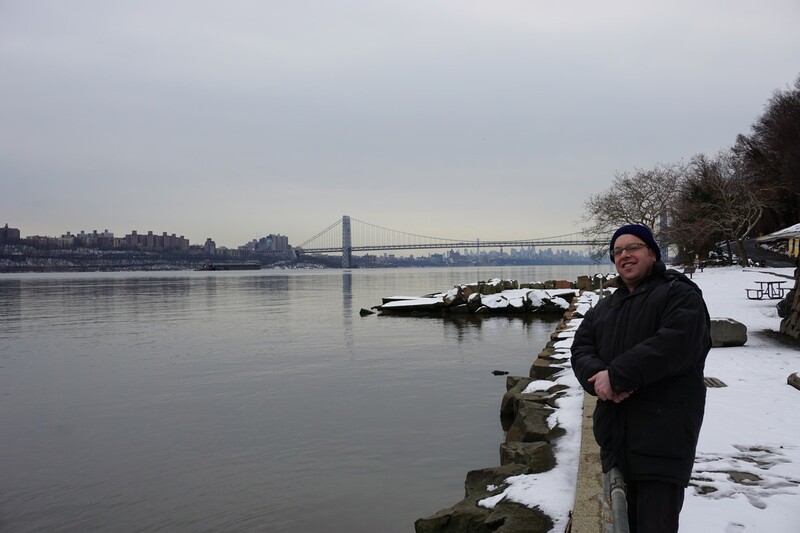 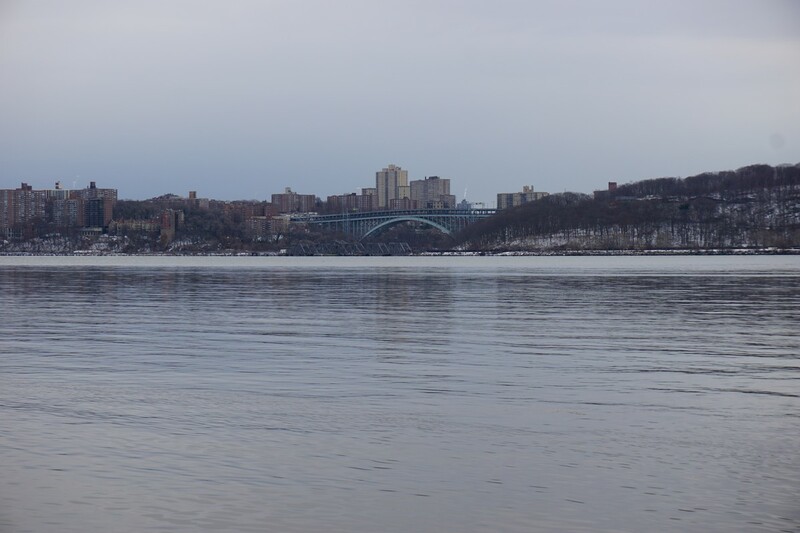 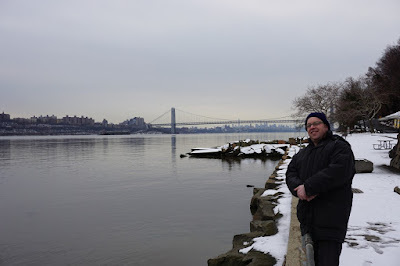 We took the Dyckman Hill Trail back to the waterfront where our car was parked at the Englewood Boat Basin.